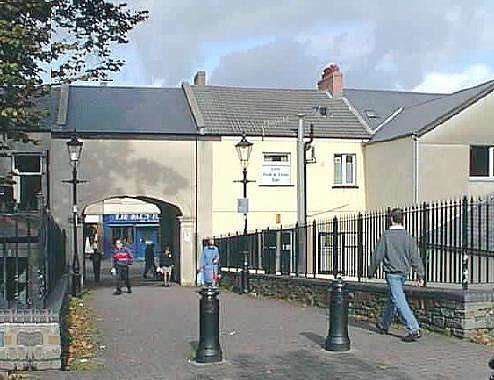 The friendly town of Aberdare is in the Cynon Valley, at the point where the river Dare flows into the Cynon. 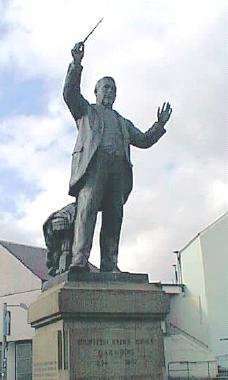 Until the 1860s, when it was overtaken by the Rhondda Valley, the Cynon Valley was at the heart of the coal boom in South Wales. Aberdare was then the centre of the coal and iron industries, but there is now little trace of its industrial past. 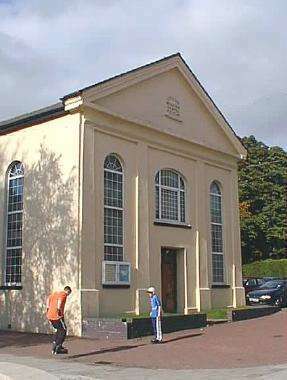 Left: The English Wesleyan Chapel in Green Street. The chapel was built in 1859. 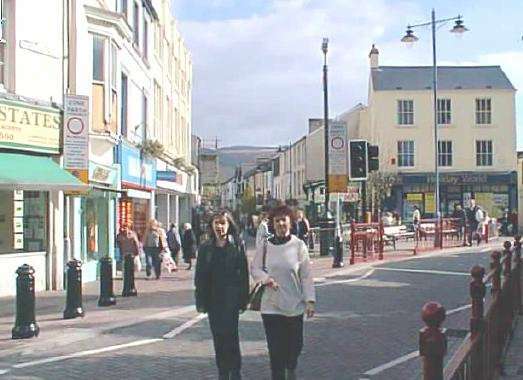 Above: Commercial Street, viewed from its junction with Canon Street. On the day I visited, this part of town seemed full of life. 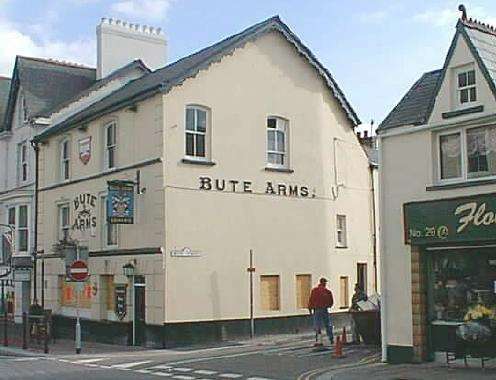 Above: The Bute Arms public house on the corner of Bute Street. lived at Cardiff Castle. In the 19th century he was said to be the richest man in the world!! Y Cor Mawr - the South Wales Choral Union. 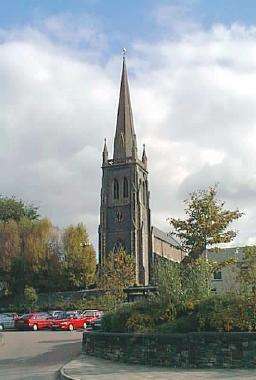 Above right: The tall spire of St Elvan's Church reaches for the heavens. with the the church precinct. 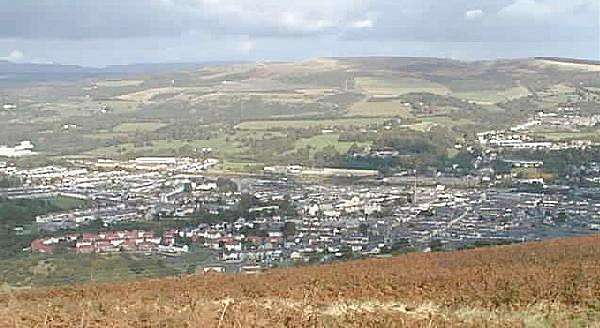 Above: The town of Aberdare viewed from the south-west side of the Cynon Valley. The spire of St Elvan's Church can just be identified in the centre of the town, about one third of the way in from the right-hand edge of the picture. The hill beyond is Merthyr Mountain, which separates the Cynon Valley from the Taff Valley and Merthyr Tydfil. Please write via my Contact Page with your comments about my photographs.